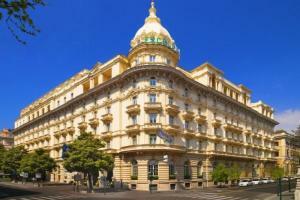 Since 1906, The Westin Excelsior, Rome has hosted celebrities, statesmen and artists visiting the Eternal City. The hotel, which was named to Condé Nast Traveler's Gold List, enjoys a prime location in the celebrated Via Veneto district. The Westin Excelsior, Rome offers comfortable guest rooms, modern amenities and outstanding service in an exceptional setting. 35km/40 minutes from the international airport. h club>doney - Lounge and nightclub; ORVM - Lobby bar; Doney Restaurant - Mediterranean dining. Via Veneto, Villa Borghese, Spanish Steps/Piazza di Spagna, Via Condotti, Galleria Borghese Museum, Trevi Fountain, Colosseum, La Sapienza University, Castel Saint Angelo, Vatican City.